It was known that Deepika Padukone starrer a film alongside Irrfan directed by Vishal Bhardwaj has gone to thunder box till Irrfan Khan doesn't get recover from his illness. Now, after returning the signing amount of Vishal Bhardwaj's film, Deepika Padukone has signed one more interesting film and that too by Raazi fame director Meghna Gulzar. 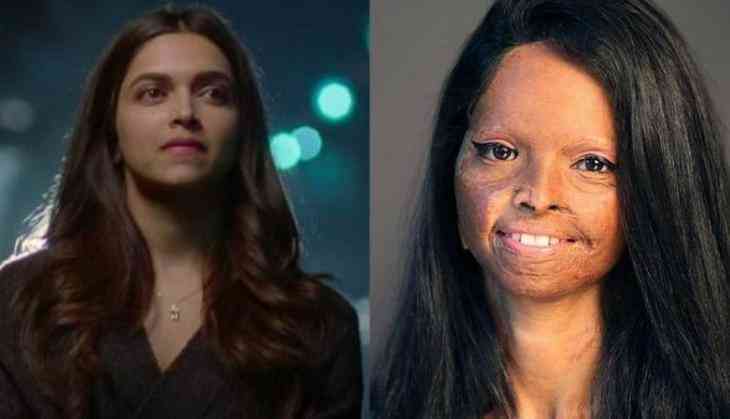 Meghna Gulzar after the huge success of Raazi is now going to tell the story of acid attack survivor Laxmi Agarwal. There is an inspiring story of Laxmi Agarwal, who became an acid attack survivor at the teenage of 15. According to the latest developments, Deepika Padukone will play the leading role of Laxmi, and not just acting she will also produce the film. Meghna Gulzar is famous for narrating the story of women empowerment and we have seen a successful example of Raazi. Even in her career, she gave two hits films Raazi and Talvar. Spotting light on Laxmi Agarwal, When she was just 15, Gudda and Naeem Khan threw acid on her face while she was waiting at the bus stop in Delhi. After spending two years at home to move owing to the scars, finally in 2006, Laxmi gathered the courage to file the case against the accused.